Home / Stock Picks / Hot Stocks / Will Aurora Cannabis Be Next to Secure a Big Partnership? Will ACB stock be the next to ink a big deal? There’s a rush for companies to get exposure to the cannabis industry and it has left many wondering what company will be next. 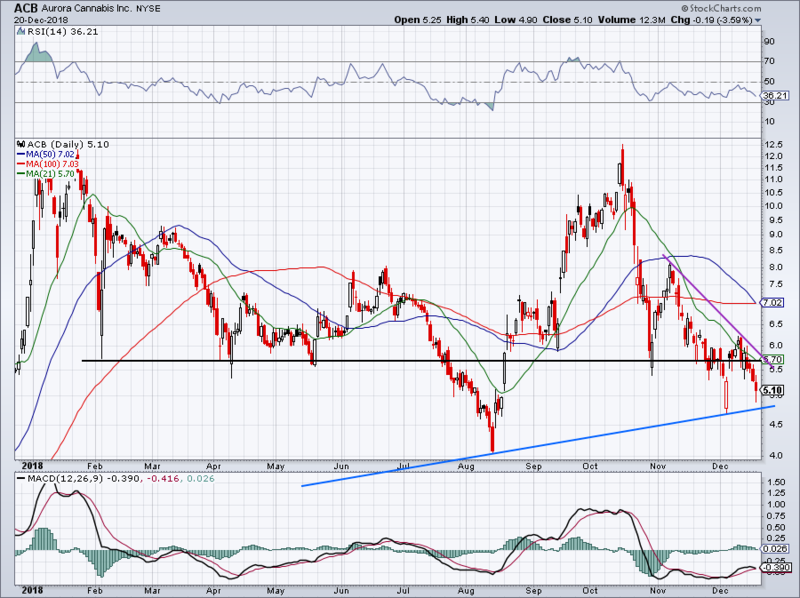 Will it be Aurora Cannabis (NYSE:ACB) and its $5.3 billion market cap? 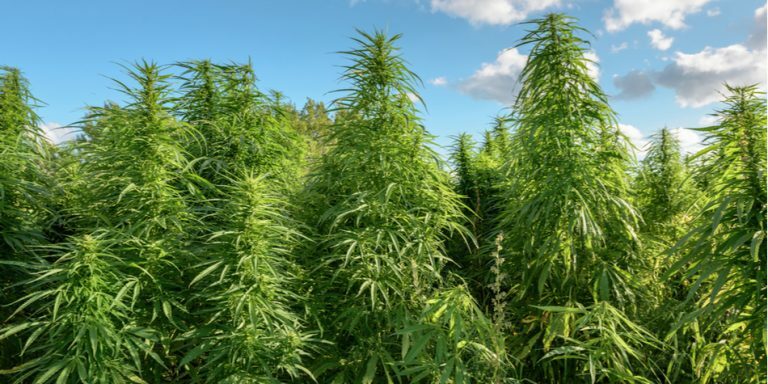 At that valuation, that’s smaller than some of the more well-known players like Tilray (NASDAQ:TLRY) and Canopy Growth (NYSE:CGC), but larger than Cronos Group (NASDAQ:CRON) and New Age Beverages (NASDAQ:NBEV). Following a string of partnership and equity stakes, it’s unlikely that the deals are going to stop. With the cannabis space growing rapidly, there’s no reason for larger companies seeking growth to ignore the space. In fact, it’s a match made in heaven. Many of these companies — ranging from pharmaceutical to alcohol and tobacco companies — already have experience navigating a sea of regulations. They also have the financial muscle to leverage these opportunities, as well as the distribution network in place to take advantage of it. Is a Deal Next for Aurora? Canopy Growth received a $4 billion investment from Constellation Brands (NYSE:STZ) and Altria (NYSE:MO) sunk $1.8 billion into Cronos. Tilray grabbed a deal with Sandoz, a unit of Novartis (NYSE:NVS), and also locked into a $100 million partnership with Anheuser-Busch (NYSE:BUD). To think that the deals will stop there is crazy. Obviously we don’t know who will step in next, when they’ll do it or which cannabis partner they’ll select. But at some point, I wouldn’t be surprised to see ACB have its name called. The tough part here becomes valuation and momentum. Think if alcohol were illegal, but the world (and more specifically the U.S.) were trending toward legalization. We would want a piece of the action, right? Names like Bud, Molson (NYSE:TAP), Diageo (NYSE:DEO), etc., would come to mind. But if everyone had the same thought and started buying ahead, would it still be worthwhile to get in, particularly as other big-name companies — say PepsiCo (NYSE:PEP) and Coca-Cola (NYSE:KO) for instance — were doing it too? Depending on one’s time frame, then yes, it’s probably advantageous. But no one wants to hold onto a dead-money investment for years on end. So we have to try to balance these companies’ current valuation with their future opportunities. Aurora is experiencing strong growth. In the fourth quarter of 2018, sales came in at $19.1 million. In Q1 2019, sales ballooned 55% quarter-over-quarter to $29.7 million and grew 260% year-over-year. Put simply, the growth for ACB stock and many other cannabis companies is simply astronomical. It’s a gold rush, if you will. That said, expenses are growing quickly too. Production jumped more than 100% year-over-year, while operating costs of $119.9 million last quarter were vastly higher than the $10.2 million in Q1 2018. While gross margins of 70% were down from the 74% in Q4, it’s up significantly from the 58% in Q1. That’s likely as larger volumes and more efficiencies drive stronger bottom-line results. Still, I understand investors’ hesitancy to get long a name at a $5+ billion market cap when it has $30 million in quarterly sales. Certainly ACB and others are not for everyone and I would only consider it a speculative position. That said, cannabis acceptance is only gaining momentum over time and that’s likely to remain the case going forward. What do the charts look like? Unfortunately, unlike the cannabis movement, ACB stock is not gaining momentum. I would like to see ACB get back over $5.50, clearing level support (black line) downtrend resistance (purple line) and the 21-day moving average. Investors who want a low-risk entry opportunity can buy on a test of uptrend support (blue line), but right now, I need the technicals to play ball. If not, getting bullish is too hard in this environment given the high valuation. Article printed from InvestorPlace Media, https://investorplace.com/2018/12/will-aurora-cannabis-acb-be-next-to-land-big-partnership/.